ferred to let his own skilful use of the saw, plane, and moulding-iron tell its own tale without any elaboration. And a most delightful tale it often was. 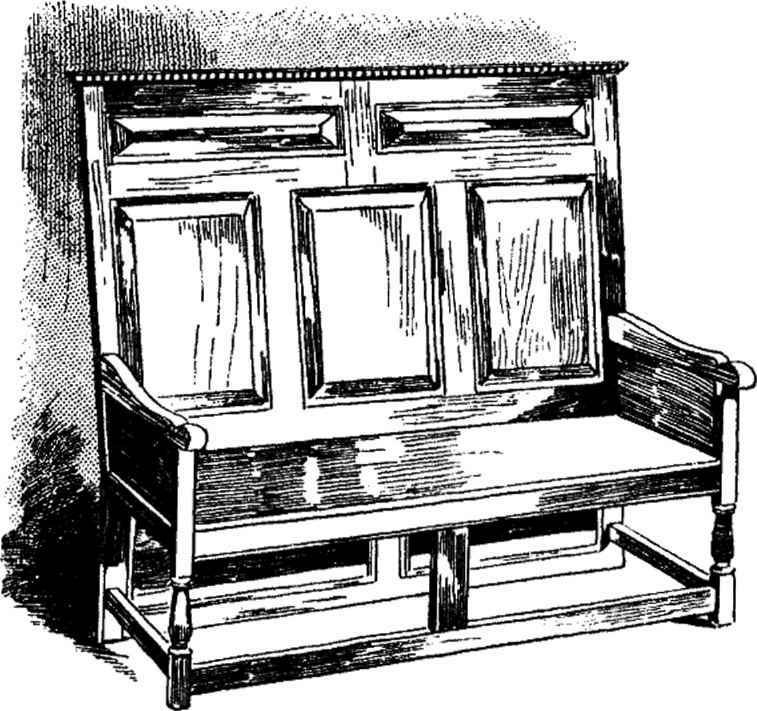 The old carpenter-made "carcases," he argued, needed "dressing-up " with carving or something, in order that they might be rendered presentable; but his perfect panelling, close joints, and clean mouldings wanted nothing of the kind; they were beautiful in themselves, and so called for no extraneous embellishment. As a result of this reasoning, and it was reasoning based on a solid foundation of actual fact, furniture of the class represented by Fig. 4, Plate II. ; Fig. 7, Plate III. ; Fig. 4, Plate V.; Fig. 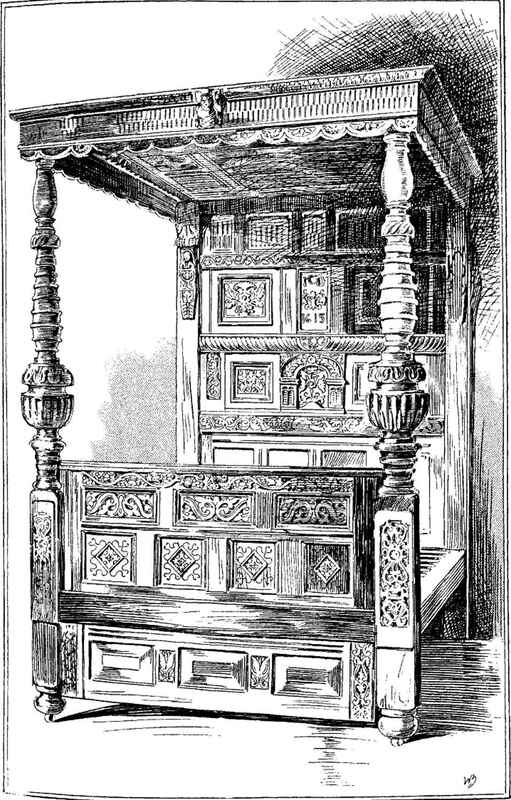 8, Plate VI., and the side-table on Plate VII. began to make its appearance. With it we advance well into the Cromwellian period, when the cabinet maker had already come to the conclusion that he was able to stand alone, and to dispense almost entirely with the services of his erstwhile predominant partner. Formerly he supplied the knights of the chisel and gouge with what was but little more than a foundation for the exercise of their craft; but the tables were turned, and in the end it came to pass that the carver had to come to him for orders for panels and other detail. of the people of all ages are reflected, to a greater or less degree, in the domestic environments of the times. But that I must leave for the reader to decide for himself, lest the clatter of the hoofs and the jingle of my hobby-horse's bells get on his nerves. futable fact, and proceed to make ourselves acquainted with the character of the forms which it eventually assumed, and which remained popular even long after the Restoration. A better type than that presented in the chest Fig. 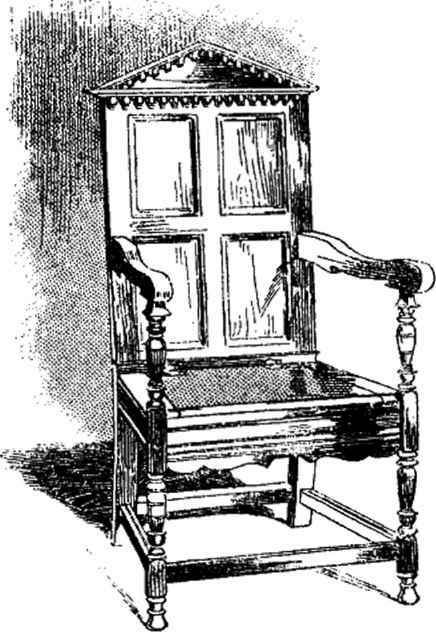 7, Plate III., could not be found for the purpose of illustrating this. In it we have cabinet work of the very best kind, as distinguished from carved carpentry; and here we see, too, that there can be positive beauty in comparative simplicity. 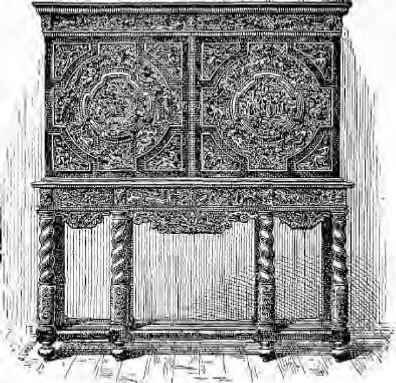 The proportions are admirable, and what little enrichment there is is of the simplest, consisting only of inlaid lines of holly or boxwood —I am not sure which ; lines of bead-like carving, and mitred mouldings.